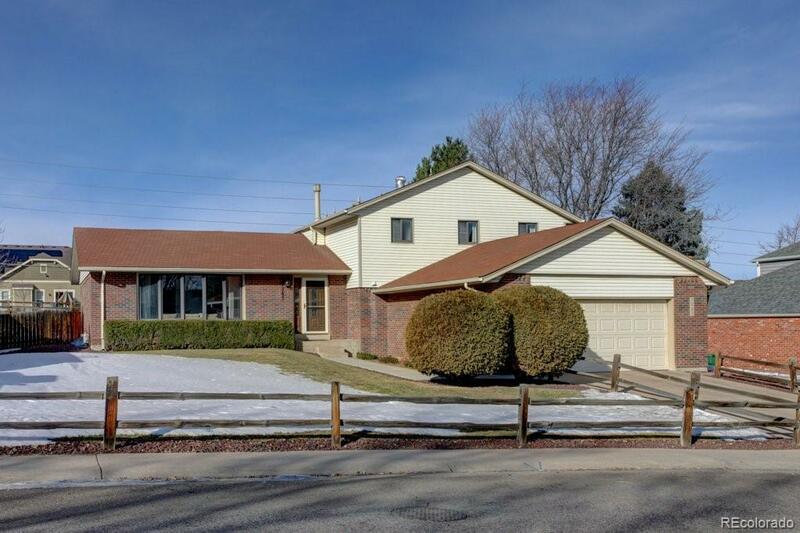 Highly desirable Southglenn home located on quiet tree lined street. Impeccably well cared for and looking for someone new to enjoy all it has to offer. Three upper bedrooms and two baths with additional lower level bed and bath provides plenty of room to spread out. Features an eat in kitchen that opens onto a large great room with a cozy fireplace. Did someone say BBQ? Spend time entertaining in the huge private yard with an expansive patio & mature landscaping as your backdrop. The large un-finished basement is a blank canvas waiting for you to do as you wish. Located within the highly-regarded Littleton School District and near shops, restaurants and parks. Make sure to see this move in ready home today.